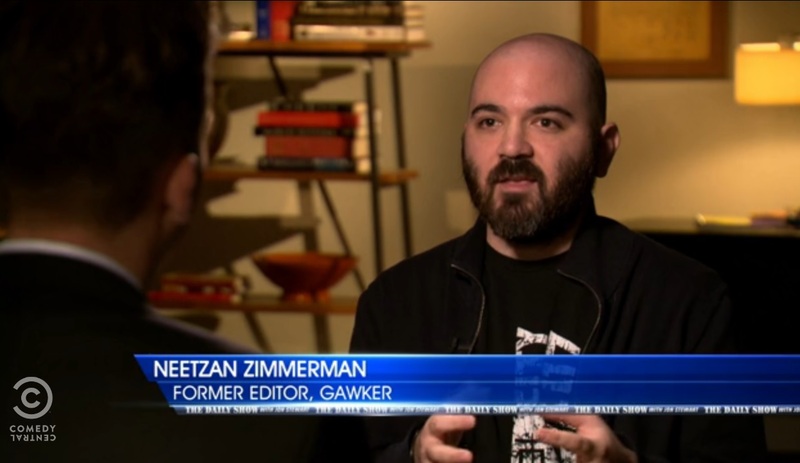 Neetzan Zimmerman has an impressive intuition, so I don’t quite understand how the former Gawker editor ended up on the Daily Show last week, serving as the tone-deaf evangelist of viral content farms. He stepped right into the role, with a series of tips for student journalists that would shock even the most jaded news consumer. Reporters, including myself, gleefully watched the segment, since it supports the sometimes-accurate narrative that journalists embrace: Hard-news outlets largely stick to serious, important work with a commitment to accuracy — but have been financially punished for maintaining that standard; aggregators like Gawker, Huffington Post and Newser leech from original reporting, appeal to the most primitive desires of readers and care only about baiting people to click — yet they have been rewarded with great riches for that strategy. Journalists may hope that consumers will watch the Daily Show video and finally see the difference – or be shamed into changing their habits because they already know the difference. Zimmerman’s appearance makes it unfortunately easy to dismiss him as a villain, since his comments in the interview make him sound like a journalist doing a caricature of Zimmerman. He spends 15 minutes writing a headline for a story that takes 5 minutes to complete. Most journalists that I know, including myself, tend to write headlines last, almost as an afterthought. Often in 1 minute or less. Many outsource the headline writing to an editor or page designer. And news operations seem to treat headlines as a burden, enforcing character limits or altering headlines to fit into a pre-defined space. Zimmerman has built a career by taking poorly presented news stories and turning them into viral masterpieces. And just comparing the headlines (see below) makes it clear why he’s been successful. Of course, journalists know that they can present their content better – they just haven’t been sufficiently shamed into changing their habits yet.